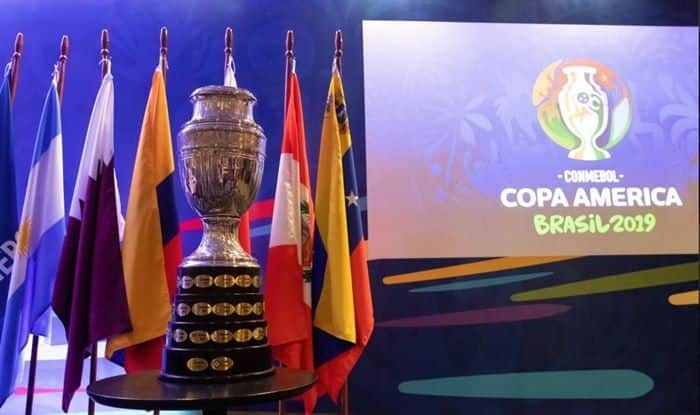 Uruguay, Chile, Japan and Ecuador were paired in Group C of the three groups in which the competitors of the Copa America Brazil 2019 were divided, according to the draw held in Rio de Janeiro. Uruguay has already been defined as one of the top three South American teams in the latest FIFA ranking, alongside Brazil and Argentina, reports Efe. In its 46th edition, the Copa America, which is coming back to Brazil after an absence of 30 years, will be played between June 14 and July 7 by the 10 members of CONMEBOL (Argentina, Bolivia, Brazil, Chile, Colombia, Ecuador, Paraguay, Peru, Uruguay and Venezuela) and by Japan and Qatar as invited countries. The three groups of the new edition, led by Brazil, Argentina, and Uruguay, were defined in a draw held on Thursday at the Cidade das Artes (City of Arts) here and was attended by several world stars, including the Brazilian former player and world champion Cafu, who hosted the event, together with his compatriot Ronaldinho. The South American Football Confederation (CONMEBOL) decided in November that the teams would be divided into groups according to their standing in the latest FIFA ranking of national teams so that the best teams of South America do not cross in the group stage. Thus, Brazil, Argentina and Uruguay were in the first pot, Colombia, Chile and Peru in the second, Paraguay, Venezuela and Japan in the third, and Ecuador, Bolivia and Qatar in the last. The competition schedule starts on June 16 when Uruguay will debut at the Mineirao stadium in the city of Belo Horizonte where they will face Ecuador. Four days later it will face Japan at the Arena do Gremio stadium in Porto Alegre and Chile at the Maracana in Rio de Janeiro on June 24. The other Group C matches will be between Japan and Chile on June 17 at the Morumbi in Sao Paulo, between Ecuador and Chile on June 21 at the Fonte Nova Arena in Salvador and between Ecuador and Japan on June 24 at the Mineirao in Belo Horizonte. If Uruguay qualifies first in their group and reach the final, they will play the quarterfinals on June 29 at the Arena Fonte Nova, the semifinals on July 3 at the Arena do Gremio and the title game on July 7 at the Maracana. Group A has Brazil, Bolivia, Venezuela and Peru, whilst Group B consists of Argentina, Colombia, Paraguay and Qatar.